Making pilsners involves the finesse of pale-beer brewing and diligence of bottom fermentation, two of the thorniest tests of homebrewing. However, pilsner (pilsener, pils) is, by no means, off limits to any brewer. The three most common styles of pilsners are Bohemian, German and the Classic American pilsners (CAP). All are quite different and can be made authentically if brewed all-grain. The European pilsners are at their finest as single-malt, single-hop (SMASH) beers, while a CAP requires a more elaborate approach. They are also well within the capabilities of extract and partial-mash brewers. Attentive fermentation is critical to any brew, especially with beers reliant on subtlety and nuance. Listed below are what I consider the resolute tenets of glitch-free bottom fermentation. 1. Ensure that fermentation conditions (48-55 degrees F) can be met and stay well within the temperature boundaries of the yeast. 2. Chill wort to primary fermentation temperature before pitching yeast. 3. Maintain good wort aeration to get out of the gate strongly. 4. Prepare a yeast starter about twice as large as that for top-fermented beers, and optimally refresh that starter on brew day. 5. Perform a diacetyl rest (65-68 degrees F for 2 days) near the end of primary fermentation. 6. Lager for a minimum of 6 to 8 weeks, starting at 50 degrees F and dropping gradually over a few days to near freezing. 7. If bottling, prime with fresh yeast to ensure thorough conditioning. The most famous beer of this style is Pilsner Urquell, a recipe of Moravian malt, Žatec hops, Bavarian yeast and ultra-soft artesian water. Moravian Hanna barley is the ancestor to nearly all modern malting barley. Weyermann floor-malted Bohemian Hanka malt is the best descendant available to homebrewers. If it is not sold at your homebrew shop, use German or Belgian pilsner malt augmented with 10 percent Munich malt or 5 percent Carapils. Saaz hops, indigenous to northwest Bohemia near Žatec (50 miles from Pilsen), are the only choice for that distinctive floral, bona fide pilsner bouquet. Pilsen water is very soft, a condition essential to the style for both home and professional brewers. Soft water tempers the bitterness, but enhances the aromatics and slightly sweet maltiness. Plain, softened tap water is nice if you have it or can produce it, but in lieu of that, distilled or reverse osmosis water combined with your house water will suffice. I use 1 gallon of my very hard well water to 2 gallons of distilled water. German pilsner tends to be crisper, with a more assertive hop profile than Bohemian, due to the harder water and dryish nature. They are simple everyday lagerbiers with a subtle grainy malt backbone with a firm thread of hops running throughout. Those from Bavaria would be marginally maltier. German pilsner malt should be carried by every homebrew shop. It produces pure gold wort, lighter both in color and body than produced by the brassy gold, richer Bohemian malt. Your regular brewing water will suffice for this style. Choose aromatic, spicy hops such as Hallertau Mittelfrüh, Tettnang, Spalt and Hersbrucker. Perle is also a good option, especially for bittering and flavor, and is more earthy in character. 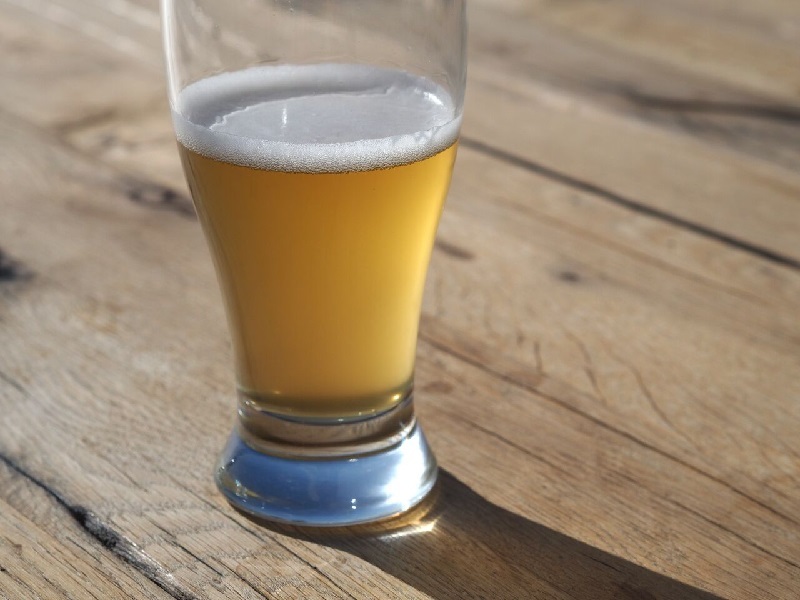 Also referred to as “Pre-Prohibition pilsner,” CAP is a fairly substantial brew and offers the best chance to experiment among the three types of pils. Originators of the style made do with American-grown six-row barley instead of two-row, which was not as common in the States. Barley was scarce in America at the time, and thus the grist was supplemented with adjunct grain, usually corn. Corn also offset the big body and hazy nature of the proteinaceous malt. Six-row malt was well-endowed enzymatically, making it a potent converter of adjunct. Flaked maize can be mashed as is, but corn grits need to be cooked (gelatinized) before mashing. Cooked rice, rice syrup, flaked rice or rice syrup solids can also be used for a lighter-flavored CAP. Clusters hops were grown extensively in the 19th century in the United States and make a true CAP, but are a bit rough. U.S.-grown German/Bohemian cultivars such as Tettnang, Hallertau and Saaz are better options, as are American hops with European pedigree like Crystal, Liberty and Mount Hood. Hop with three additions at 35 to 40 IBU. If bottling, what is a good target temperature and how long will they need to condition?